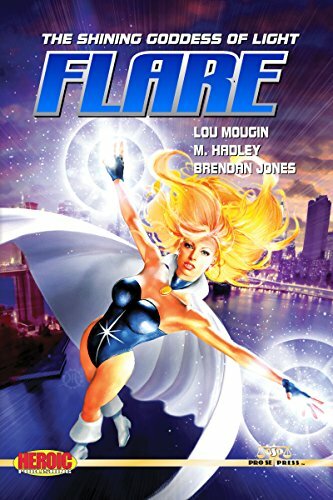 Featuring a dazzling cover and design by Jeffrey Hayes and print formatting by Antonino Lo Iacono and Marzia Marina, FLARE is available now at Amazon at https://www.amazon.com/dp/1541119444/ref=sr_1_4?ie=UTF8&qid=1482417705&sr=8-4&keywords=Flare+anthology and Pro Se’s own store at www.prose-press.com for 10.00. The Shining Goddess of Light’s first prose anthology is also available as an Ebook, designed and formatted by Lo Iacono and Marina for only $2.99 for the Kindle at https://www.amazon.com/dp/B01N4GF3YV/ref=sr_1_1?ie=UTF8&qid=1482418150&sr=8-1&keywords=Flare+kindle+mougin and for most digital formats via Smashwords at https://www.smashwords.com/books/view/691159. COMIC STORE AND INDEPENDENT BOOK DEALERS-If You're interested in putting FLARE on your shelves, please contact editorinchief@prose-press.com for special dealer prices and discounts. For Flare’s Comic Adventures, go to www.heroicpublishing.com!